Dear reader am happy to have you again in my blog am gald. In this article I will be give you code for Ghana MTN Subscription codes. This article is for Ghanaians, these codes will help you opt for any of MTN date bundle. 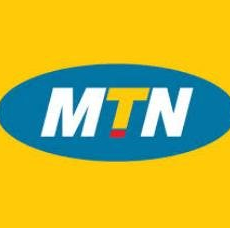 Ghana MTN Data Bundle Codes – USSD Codes For Subscriptioncool down and read. This package allows you to call USA, India, China, Canada, UK Fixed land-line - to access these options simple dial *138*3# and pick the first option which, then you would see Gh¢2, Gh5¢, and Ghç10 IDD bundles. For France, Germany, Spain dial *138*3# now you to select the second option for Gh¢2, Gh¢5, and Gh¢10 bundles. To check your (International Direct Dialing simply dial *138*3*9# from your phone. Hello, hope the article is helpful, please if you have any question concerning Ghana MTN Data Bundle Codes ask I will attend to it.